Author: Hightower, Lynn Set In . . .
Southern PI Lena Padget’s hunt for a missing coed leads her into a deadly mystery born in the fires of the ATF’s Branch Davidian siege in Waco, Texas. Though still haunted by ghosts from her past, Lena Padget has made a good life for herself in Lexington, Kentucky, as a private eye specializing in cases involving abused women and children. But Lena’s latest case threatens her romantic relationship with her live-in lover, police detective Lt. Joel Mendez. Hired by the family of college student Cheryl Dunkirk, who disappeared while serving as an intern for the US Department of Alcohol, Tobacco, and Firearms, Lena is working the same missing person’s case that Joel is officially exploring—albeit from a different angle. But Cheryl’s fate may be linked to a series of mysterious deaths of ATF agents who were involved in the disastrous raid on the Branch Davidian cult’s complex, and Joel and Lena’s personal issues will have to be put aside when an ice-cold serial killer’s insatiable hunger for blood turns their professional competition into something deadly. 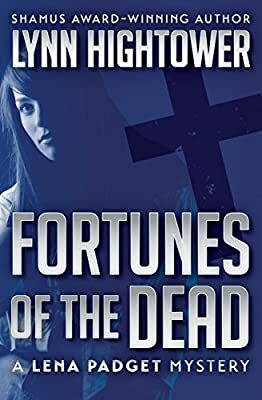 Fortunes of the Dead chronicles PI Lena Padget’s second gripping excursion into the darkest corners of human experience. A story of blind rage, vengeance, madness, and murder that crackles with suspense, it will appeal to readers of Karin Slaughter and Laura Lippmann. Fortunes of the Dead is the 2nd book in the Lena Padget Mysteries, but you may enjoy reading the series in any order.